Being one of the trusted firms in the industry, we are highly engaged in providing a unique range of Seed Plastic Trays. We Offer a high range of proseeding trays, which are manufacturerd non toxic & light weight properties. 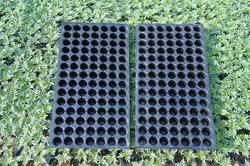 We offer these proseeding trays in different designs and sizes as per the specifications of the users. - Usages : Tomato, Chilly, Cauliflower, Cabbage. 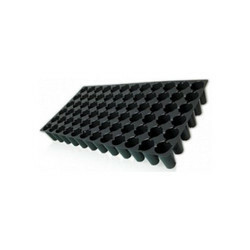 98 cavity trays in good quality. Backed by rich industry experience and highly experienced team of professionals, we are offering the finest quality Nursery Seedling Tray. Under the supervision of our adept professionals, the provided tray is manufactured using superior quality raw material and the latest techniques in tandem with the set industry standards.